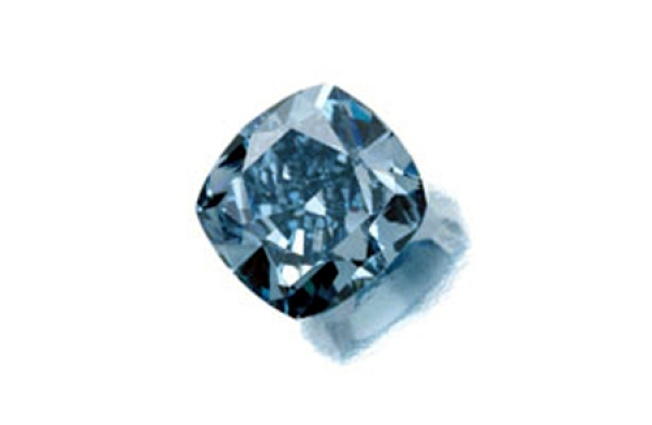 The stone has a vivid blue color and is rated internally flawless. A rare, 7.03 carat blue diamond that is expected to bring up to $8.5 million at auction is now on display in New York. 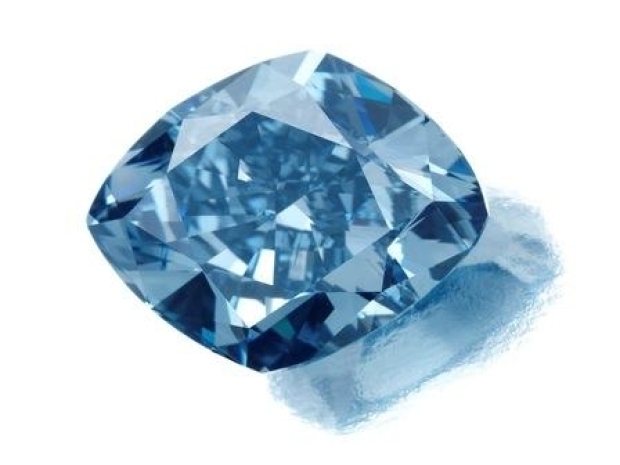 Sotheby's New York previewed the vivid blue diamond, which is slightly smaller than a dime and shaped like a cushion, on Monday. It will be sold in Geneva on May 12. The conditions that are required to form a colored diamond seldom occur in nature, making them extremely rare. Sotheby's said the gem was also notable for its incredible clarity. Though diamond prices are down amid the world-wide economic downturn, jewelers say prices for rare and large gems remain strong. The diamond was unearthed last year in the Cullinan diamond mine, northeast of Pretoria, South Africa. The stone was cut from a 26.58 carat diamond in the rough.